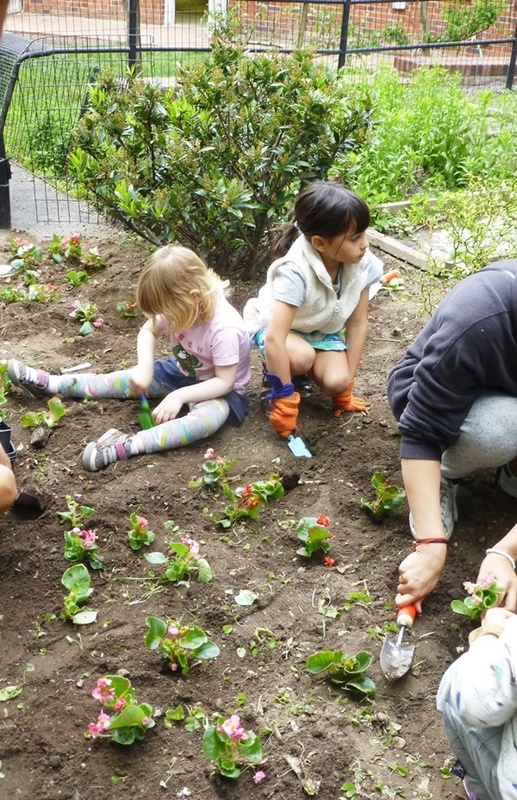 Garden is a great place of escape, where you can connect with nature. 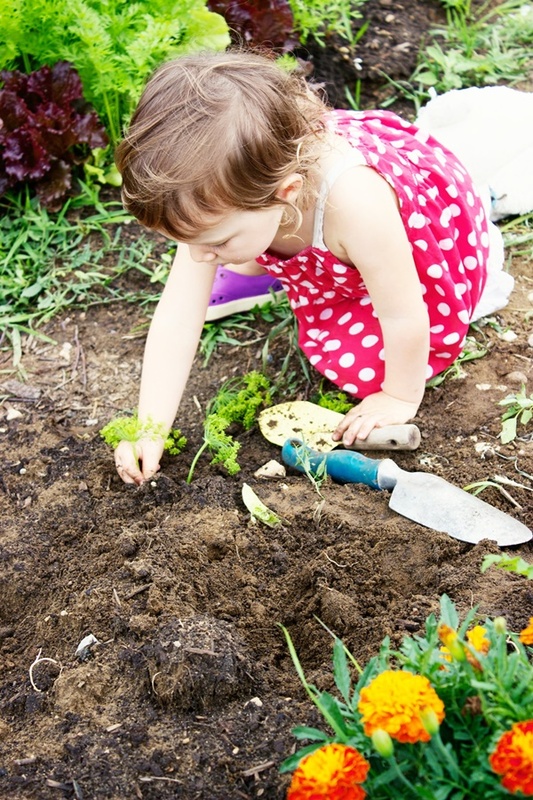 Learn and teach responsibility and demonstrate to your kids the results of hard work, care, and tender love. 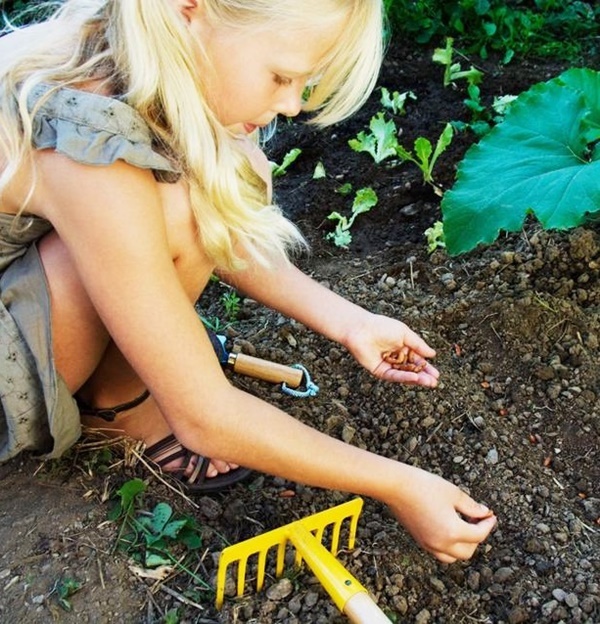 Children spend most of their time in gardens than anyone else, gift them the art of gardening. 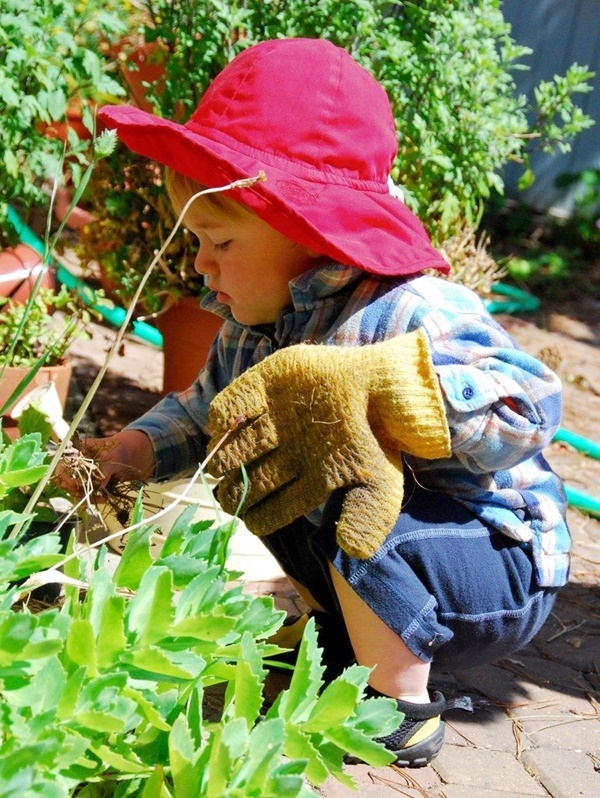 It is never too early to expose your little ones to gardening. 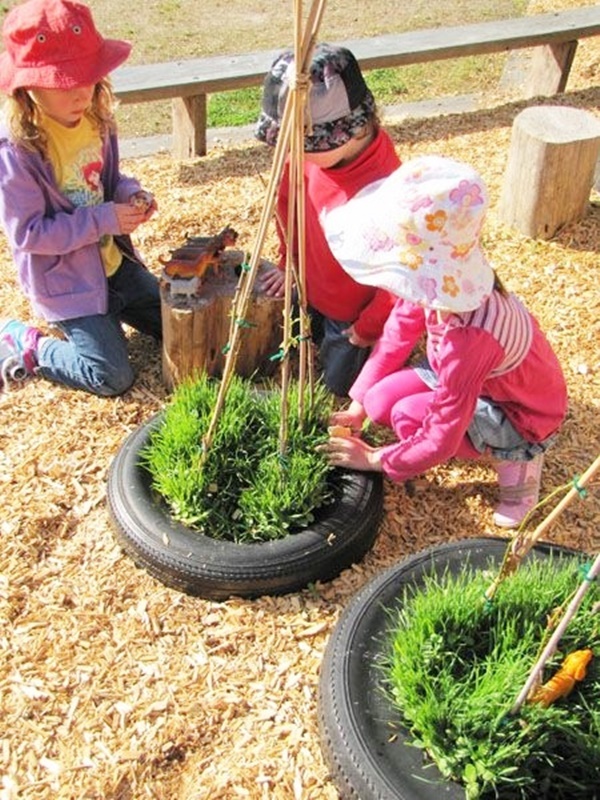 It teaches them patience, precision, hard work, increases their understanding and love for nature. 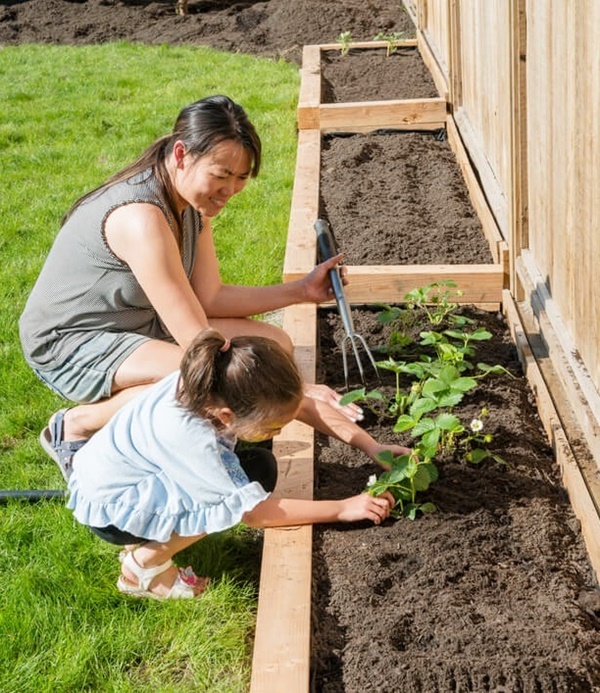 Entice your kids by giving them their own garden projects, this maintains their interest and also give them the opportunity to learn something new. 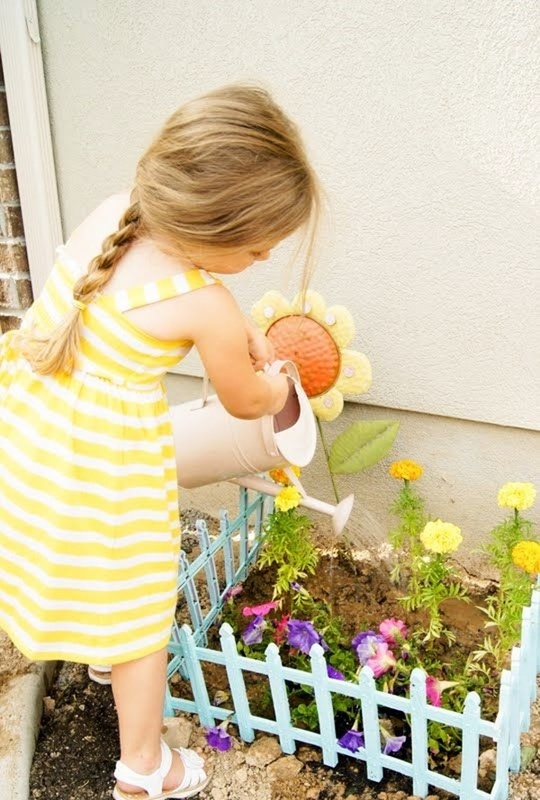 These 10 small kids garden ideas to foster kids interest in gardening, will inspire your little one’s thumbs to go green. 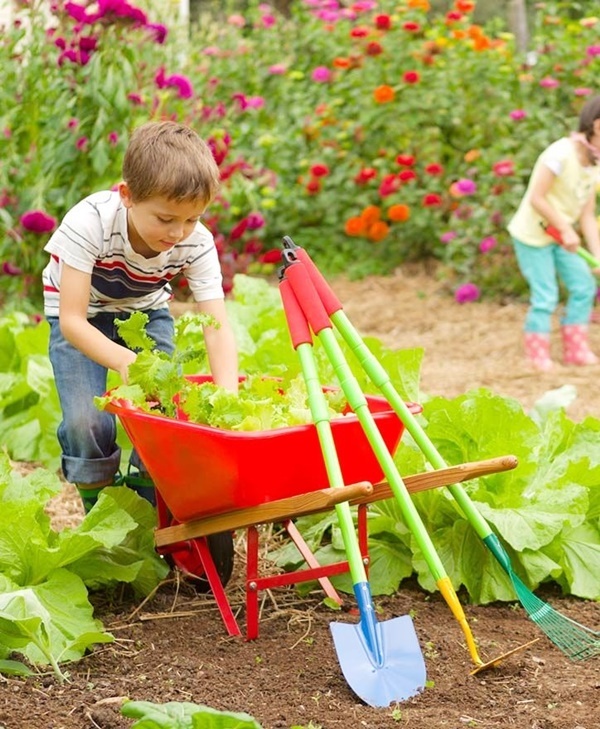 To fit their smaller hands, give them their own gardening supplies. 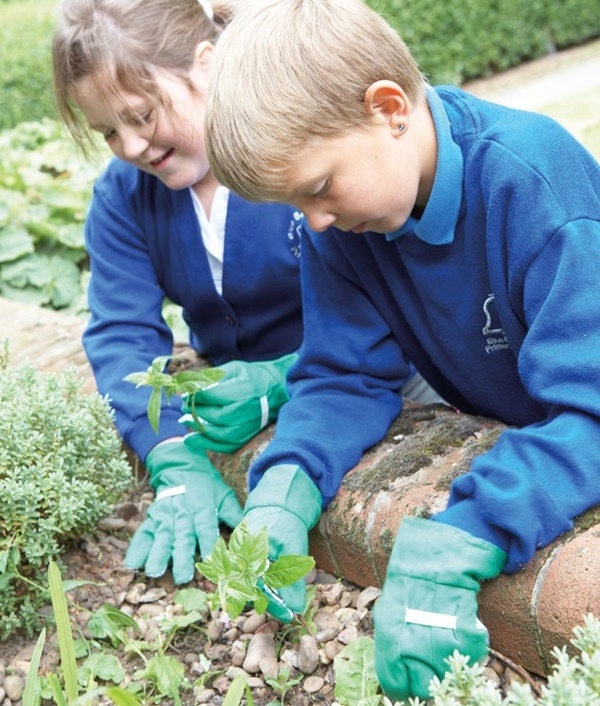 This will excite them and draw their attention towards gardening. Their own set of colourful supplies with a mini water sprinkler, shovel, hoe, trowel, knee pads, and apron. 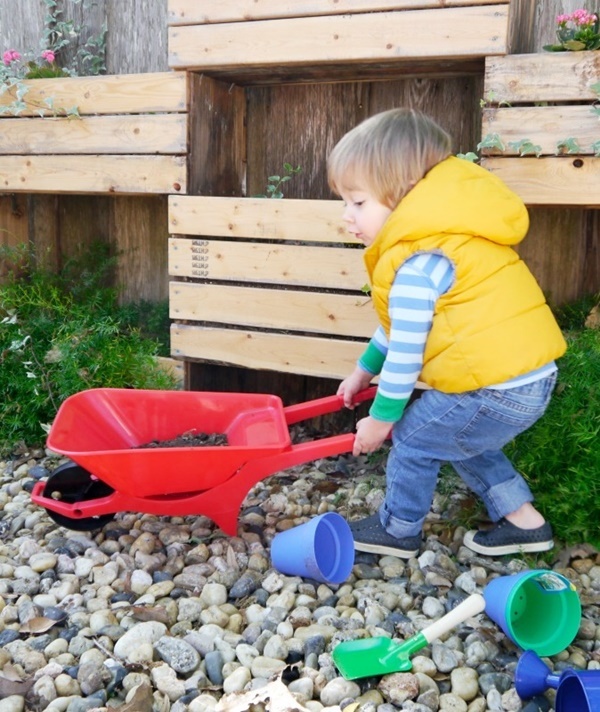 Buy small designed pots and potting soil. Nothing makes children more overwhelmed than having their own personalized things. Give them a defined space that belongs to them. Fence a little border around, let them dig, get dirty and have fun. 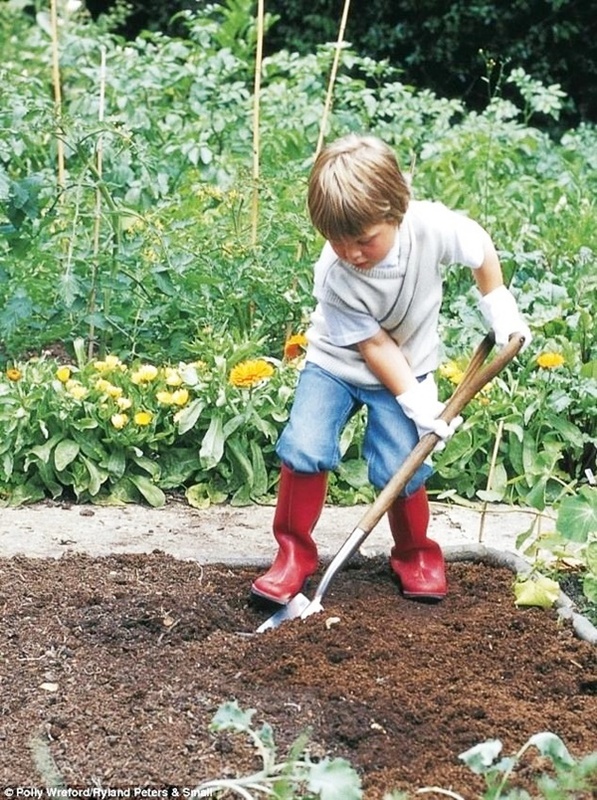 Parents should help a little in making a soil bed and introduce them why soil is important for little plants. 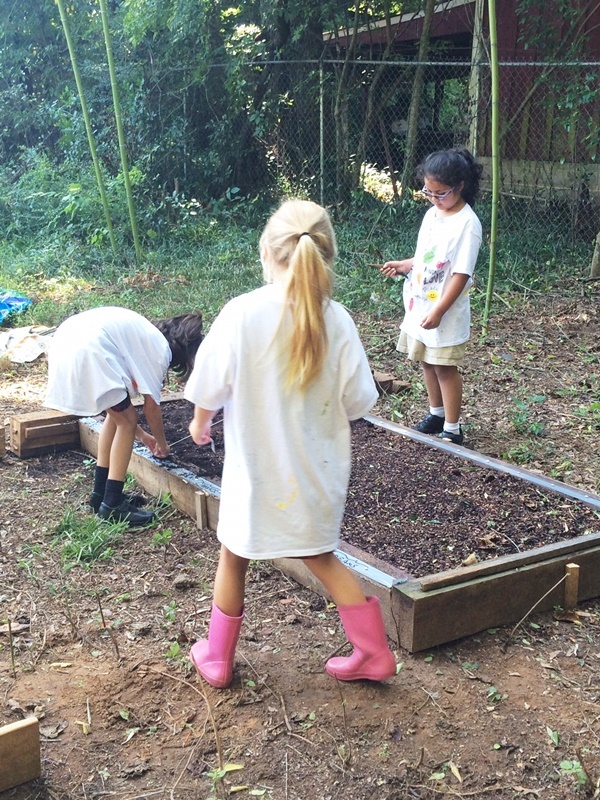 Half of the fun is done by building their own garden area, now let them decide which veggies they are willing to grow. 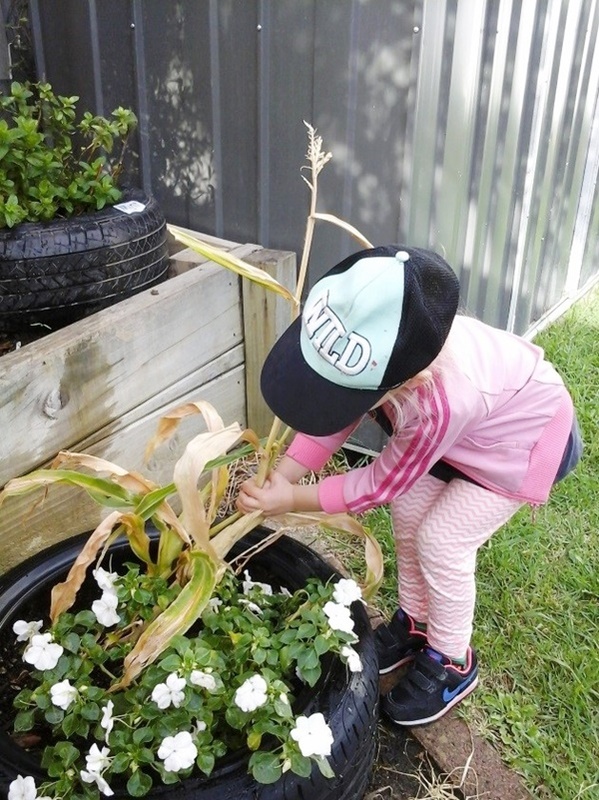 Growing their favourite plants makes them excited and happy. 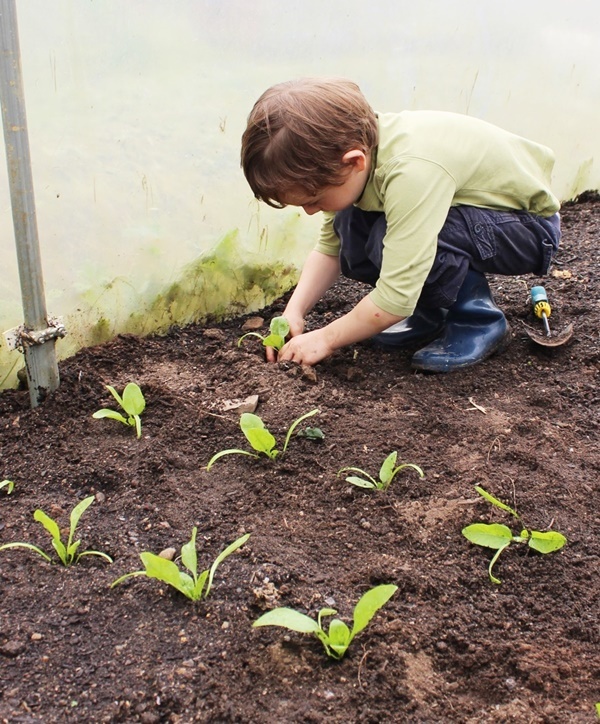 Show them a plant chart, tell them which grows the fastest or which are easy to grow. 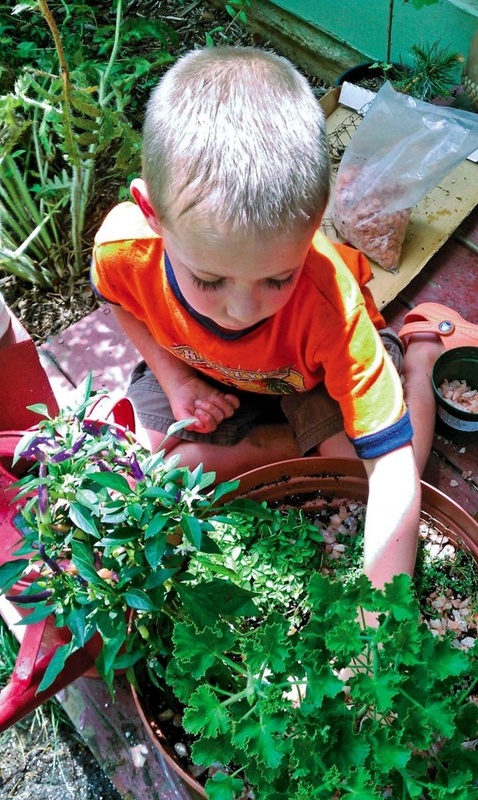 If your little ones are confused, you can always head start with tomatoes and herbs. Make sure you encourage your kids participation, it is really important as it helps them learn. They might be doing it wrong at the first time or maybe even at the tenth time. 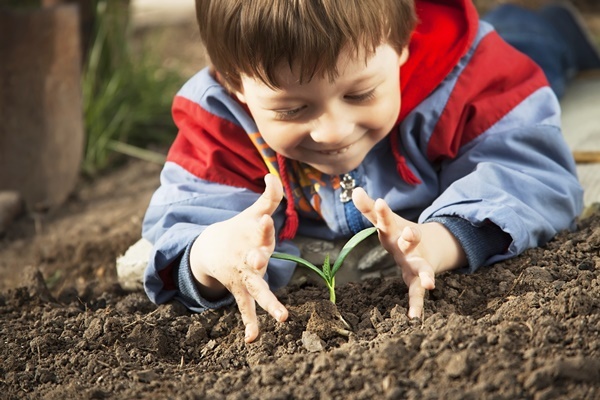 Be patient and teach them how to appropriately plant the seeds, how deep it goes. 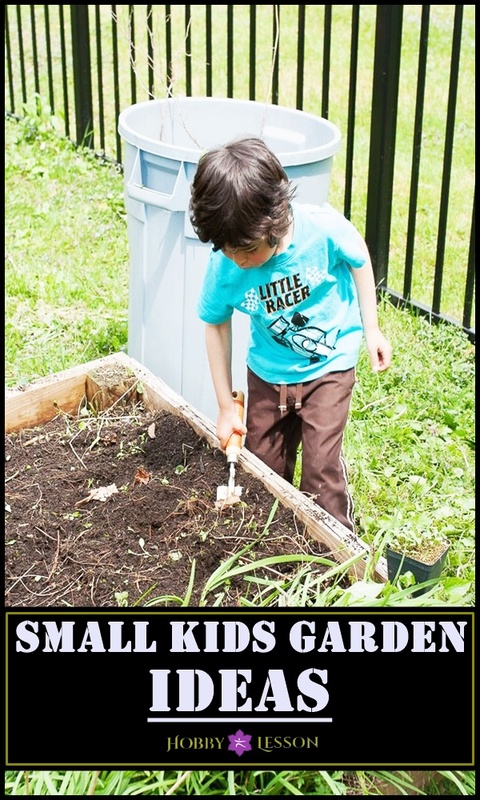 You can teach them what goes into growing a beautiful garden. Do not settle for old traditional boring pots, you can get creative. 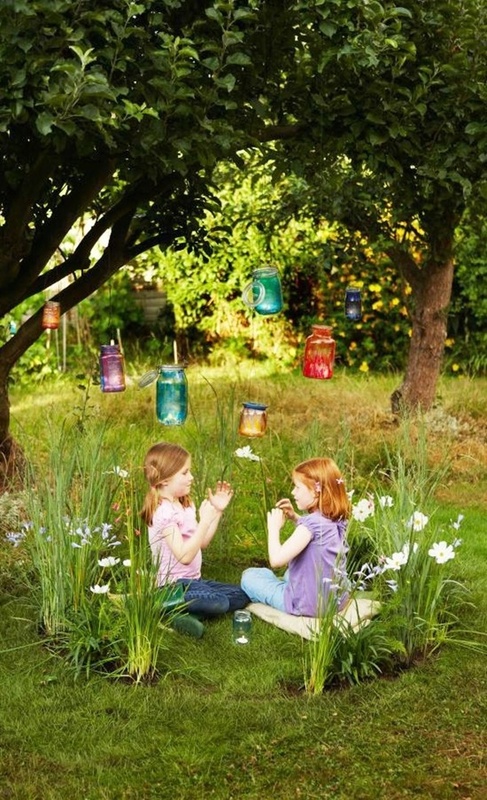 Do a little research on creative garden spaces, this will inculcate creativity in your kids. 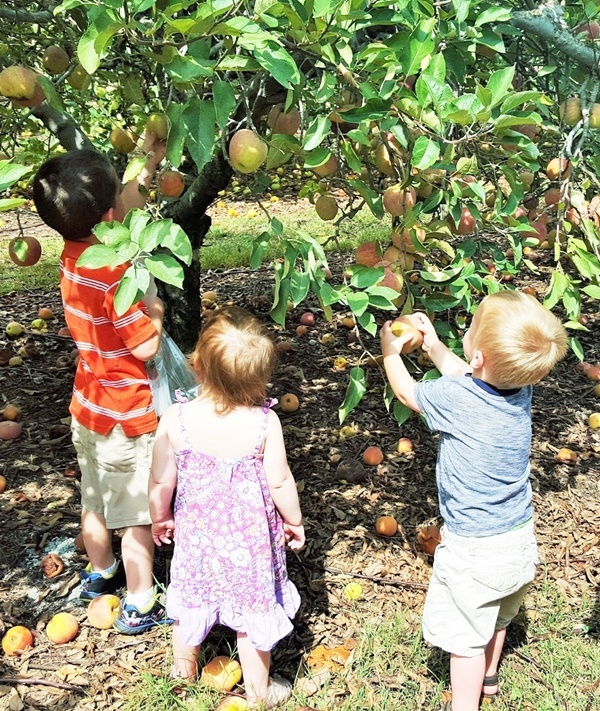 To foster kids interest, you have to make it fun and creative. 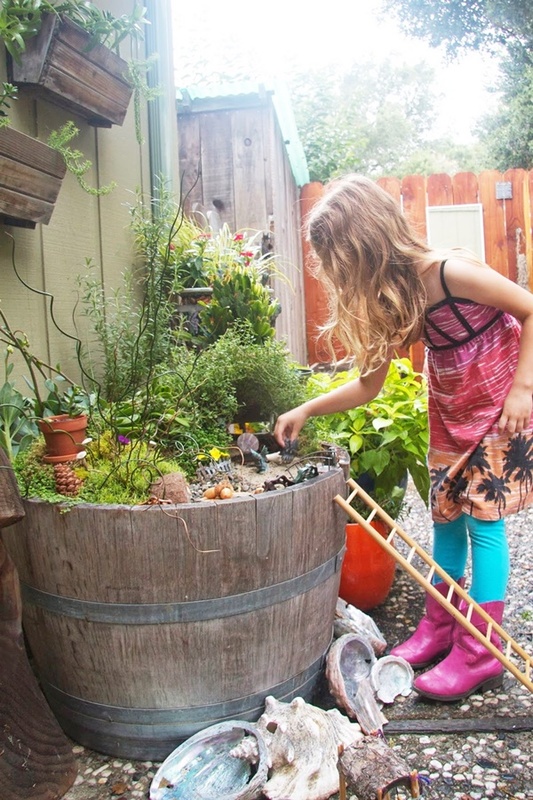 Engage your kids in creative gardening for a lifelong learning. 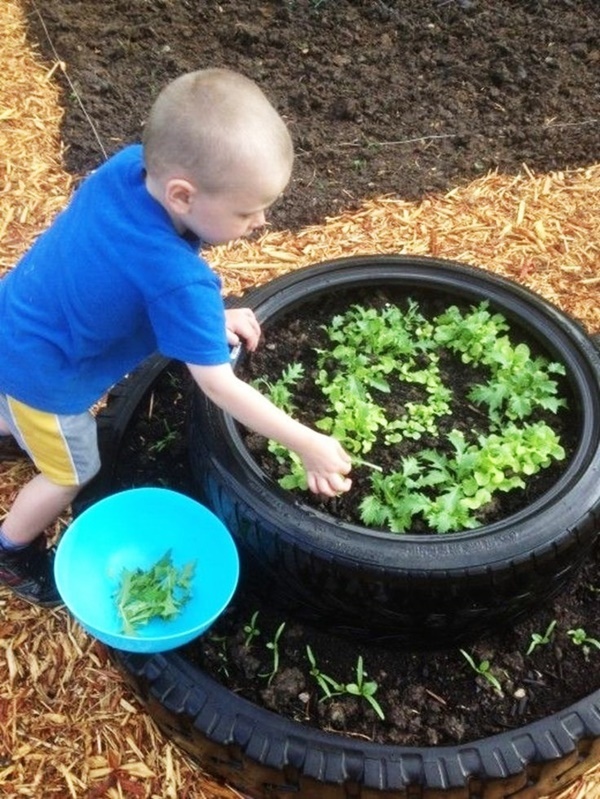 You can plant in an old tyre or old cups, to show them whimsical ways of gardening. 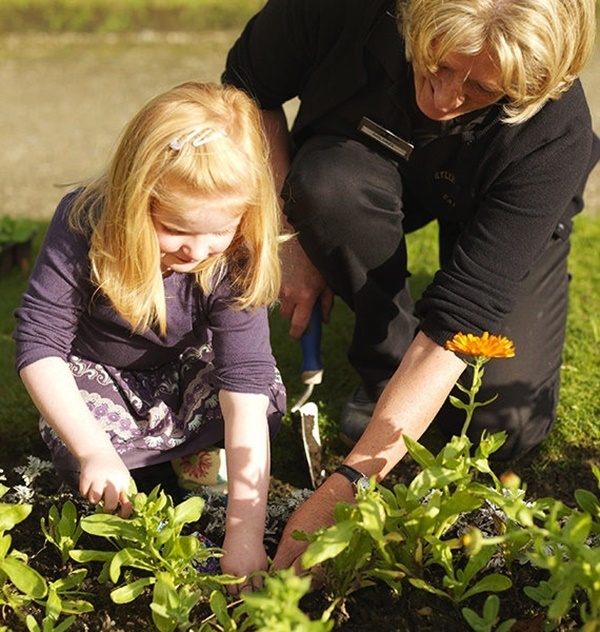 Don’t expect the kids to treat gardening as a work. 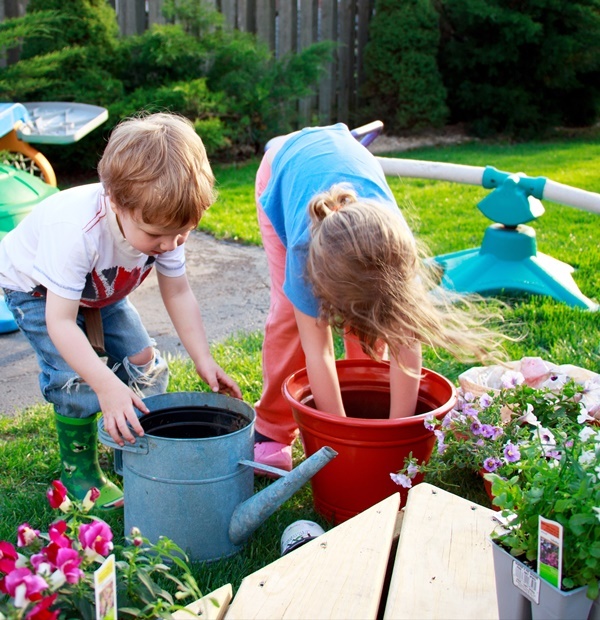 Sit and play together while gardening. You can also ask them to bring along their friends, to teach them together or compete against each other. This is very important as children do run away from household chores. 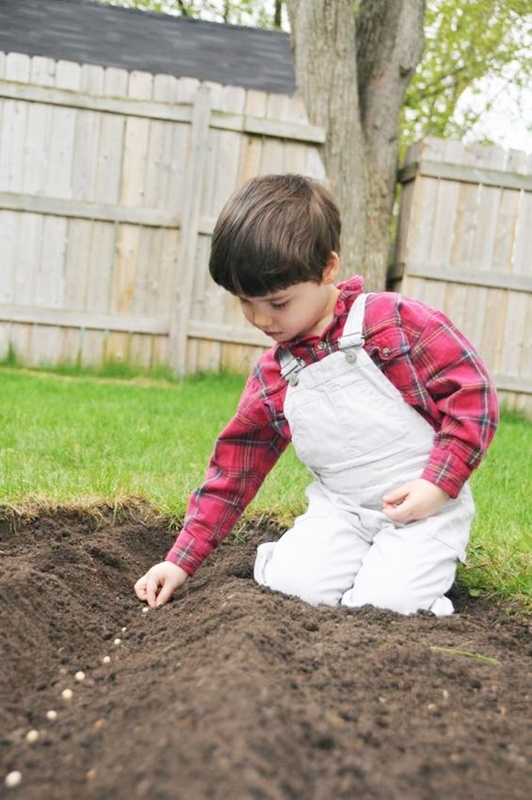 Sing and play games while planting seeds. 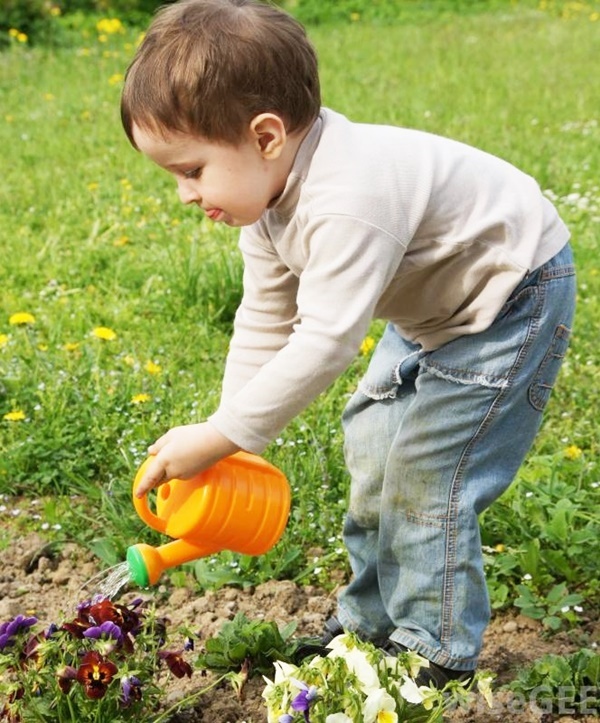 Now, gardening is definitely not a one day task, you need to water plants daily. 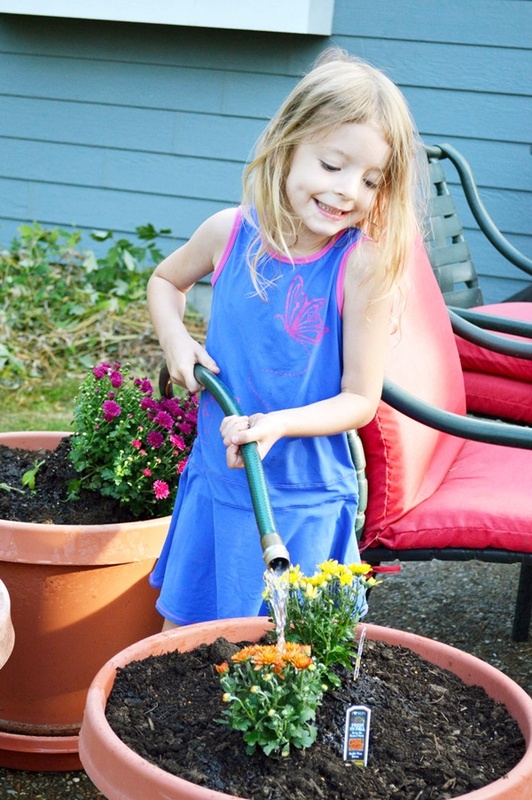 Here, constant nagging for watering plants would not work, it will sooner dull their interest. You need to be creative with the daily reminders to water your green buddies. Make them understand, just how water is a need for them, the same way their new plant buddies also need constant care. 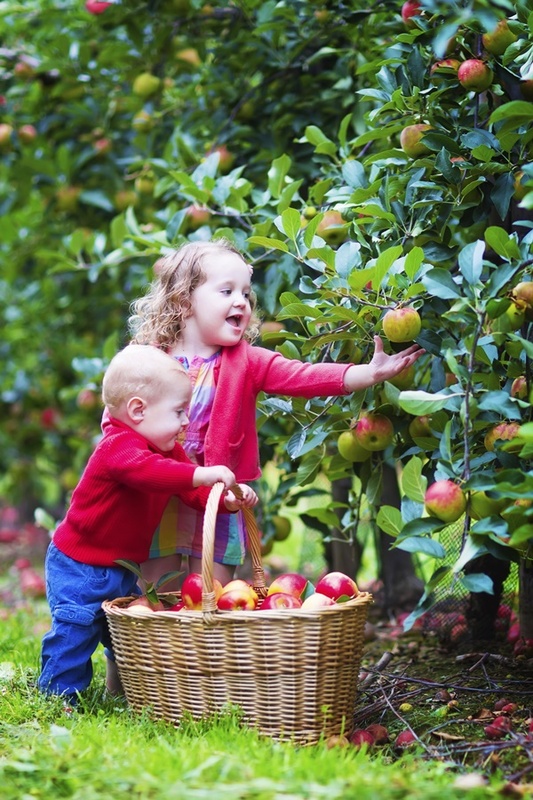 When it comes to harvesting, let your kids pluck their fruit and enjoy preparing a meal of their labour. Praise and encourage them for the hard work. On the off chances, it can happen that plants died soon or too many bugs affected them but try to make them look at the bigger picture and try once again. Do not let kids dishearten. 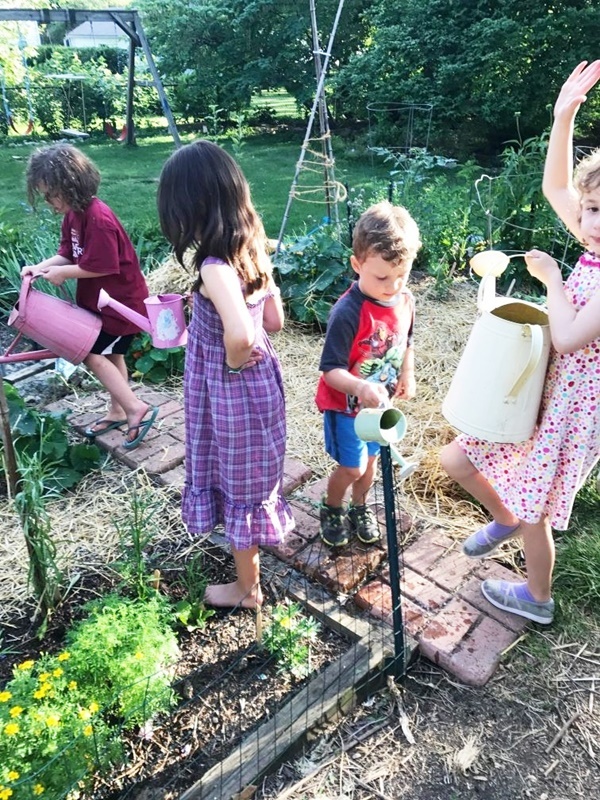 Make and capture the happy memories of gardening their first plant. 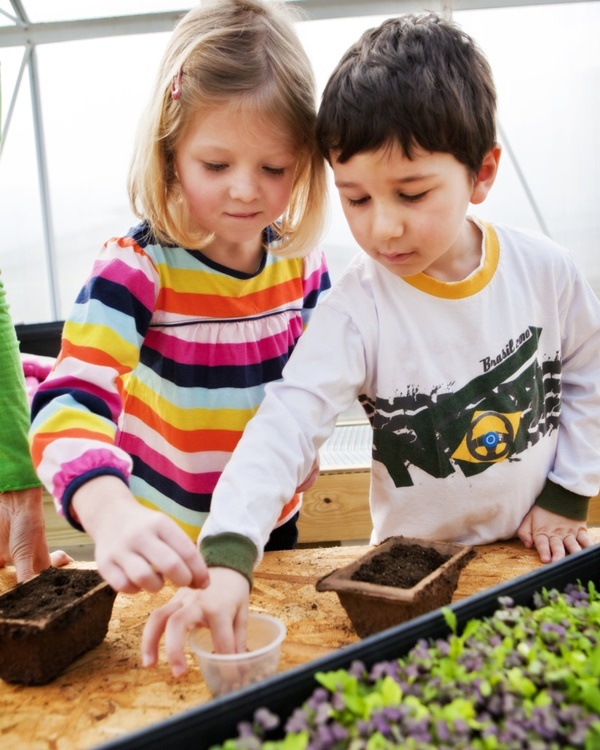 Try out different fruits, herbs and flowering seeds. 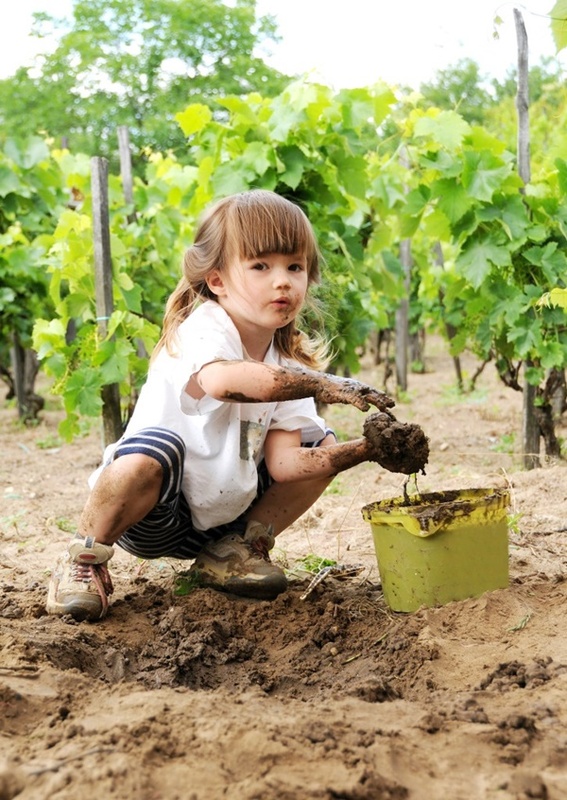 Offer to help them set a new plant, get dirty with them and learn new skills. 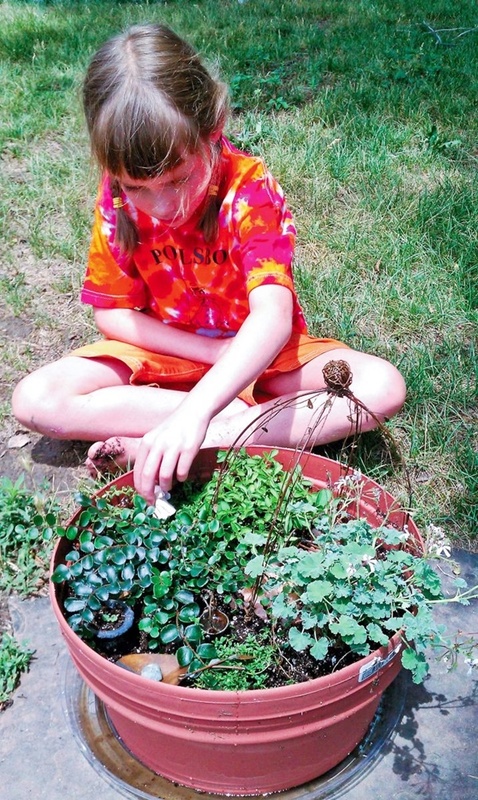 Make a calendar with your kids to watch the daily growth of a plant. 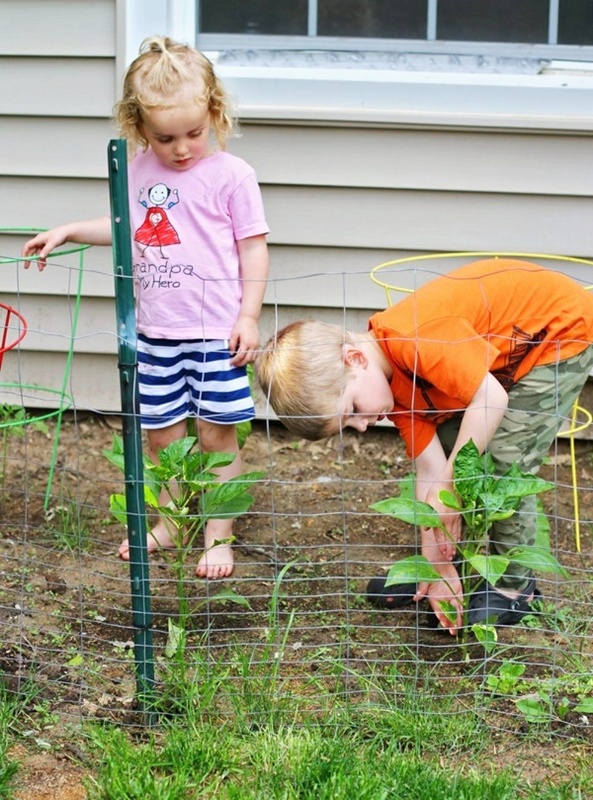 Give them incentives for their extra efforts and make gardening fun.